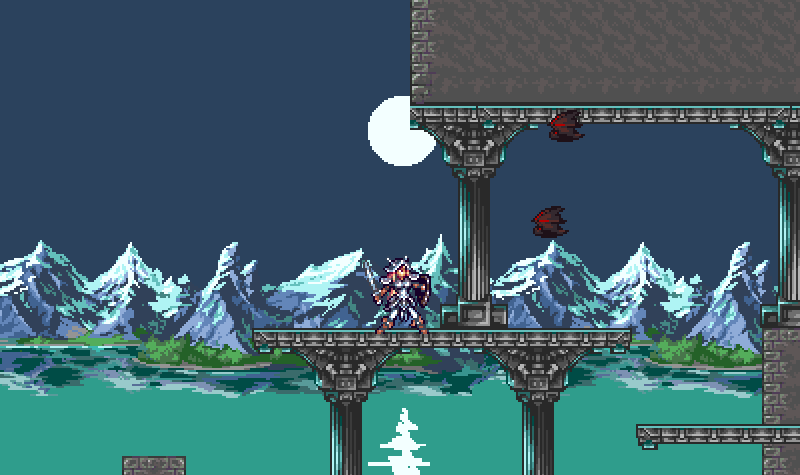 Assets for a castlevania-like platformer I mocked up quite some time ago. Stiff and kinda crappy animation on the main character. 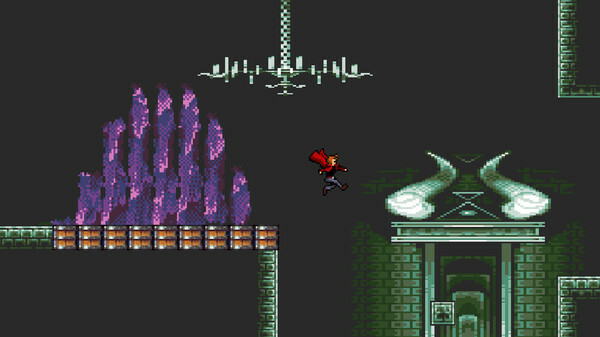 Includes tiles, two parallax backgrounds, a main character, and a really badly-done bat. Colors on the exterior environment could use some love, but that was one of a whole bunch of things I didn't have the time to address. Two screenshots showing what you can do with it. Someone should expand on this and make a game! Awesome work. Love the style. Looks great! Definitely the Jetrel style. Here's some additional previews I made for the main character walk and attack animations to see how they look in motion. They're at about 12 frames per second. Even though it's crappy, the character's sprite is quite well done BTW. P.S. : I'm an in-training pixel artist and game developer. 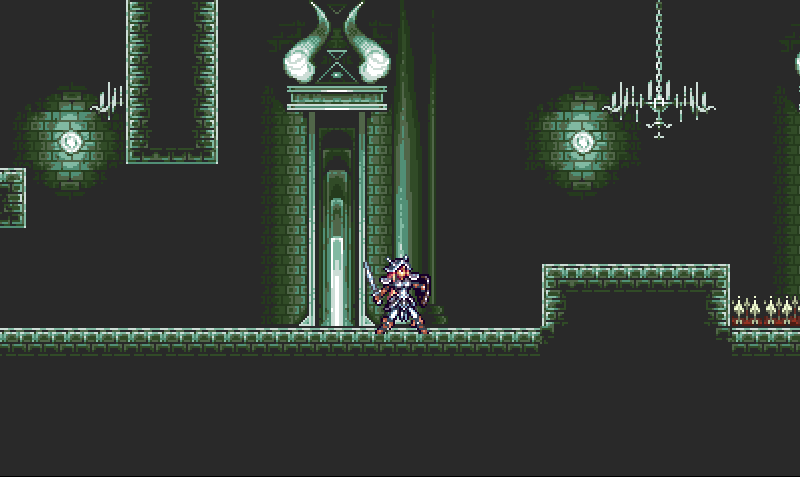 I'll definitely throw something together in naalaa with these graphics :) Great work! EDIT: Here's very quick test, http://www.naalaa.com/temp/ekusa/test.html . I compiled the naalaa program into a Java applet. haha, very cool little game. Well done! Awesome stuff, I really like the parallax backgrounds ane the animations. Thank you for making it open source! If I can work any of this into my software engineering project I'll remember to make another post! Your mountain background made it on the title screen of my upcoming game Land of Retro! Would you like to be included in the game's credits? If so, pleae send me a message with your permission! I hope to credit everyone whose awesome CC0 artwork helped make this game happen. Good set, thanks for sharing!